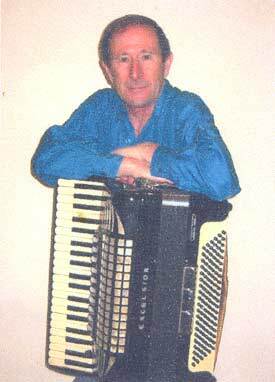 Franco Cambareri, composer for accordion, performer, accordionist, producer, Melbourne Australia. Melbourne composer Franco Cambareri was barely able to walk when he first heard the magic sound of the piano accordion – an instrument he promptly fell in love with and dreamed of one day possessing. Franco was seventeen when he finally had enough money to put a deposit on an accordion and pay for one music lesson per week – his determination to learn meant he spent many a long hour in study and practice. In the early sixties Franco spent twelve months in Rome furthering his studies in music and on return to Australia he formed a Quintet, a band which met with instant success and enjoyed popularity on radio, television and at social clubs and night clubs around Melbourne. The group was awarded second prize at the first ever-International Song Festival in Melbourne and went on to record and release a number of EP’s and a full length LP album. One of the highlights of this period was the collaboration as producers and actors on the weekly television musical program “Carosello”. There followed an overseas stint on the South Pacific Island of Fiji where the Trio Franco delighted audiences at many and varied venues. During this time Franco somehow managed to also teach music and accordion to many young aspiring musicians and today some of Melbourne’s finest can lay claim to having their careers initiated from those early lessons. He decided to devote himself to composing the music he loved and to date has written some 220 original instrumental works and has 12 CDs to his credit. 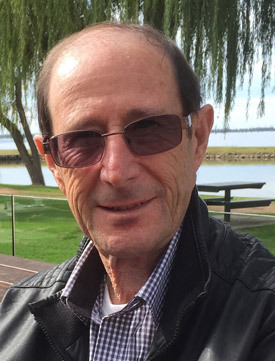 The first of these, “Tender Feelings” (released through Colossal Records of Australia), has been featured by a number of radio stations across the country and currently most of his music is published by Groovy Music Publishing (www.groovymusic.com.au) as well as many of his compositions are published overseas by Frosini Society (frosinisociety.org) and MusicForAccordion.com. One of Franco’s compositions titled “Pour “Pour Aline” was amongst the top ten awarded in the instrumental category from thousands of entries in the Australian Songwriters Association 2007 Song writing Contest, he was awarded 9th place for this piece. Another composition titled “Capricciosa” also featured on ABC Classic FM as part of the ABC’s “Sunday Live” concerts, which are broadcasted throughout Australia and internationally through radio and the Internet. Guitarist Giuseppe Zangari and Flautist Sally Walker received enthusiastic applause for the performance of the song in a recital transmitted live from the Harold Lobb Concert Hall at the Newcastle Conservatorium of Music. Franco dedicates the music he writes to his family and friends of which he has many – not surprising for a man and musician whose inspiration for composition comes unmistakably from the heart.